The governor-elect in Ogun State, Prince Dapo Abiodun has ruled out resentment against Governor Ibikunle Amosun over the governor’s resistance to his governorship ambition. Abiodun, who was the gubernatorial candidate of the All Progressives Congress (APC), earlier on Monday, was declared winner of Saturday’s election, having polled 241,670 to defeat his arch-rival and candidate of the Allied Peoples Movement (APM), Adekunle Akinlade who had 222, 153 votes. Recall that Amosun, who had won Ogun Central Senate seat on the platform of APC during the February 23 parliamentary election, openly mobilised and worked for Akinlade’s candidacy. Amosun and Abiodun were longtime ally before the Governorship ambition tore them apart, in build up to 2019 elections. 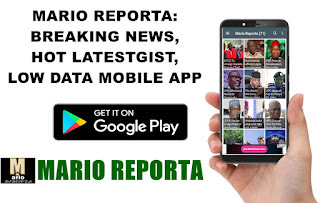 However, the governor-elect, while addressing newsmen in his house at Iperu – Remo, Ikenne Local Government Area of the state, said the contest for governorship seat was not “a personal thing” rather, he believed he had something to offer the state in term of service. The oil magnate pointed out that he neither exhibit or say anything negative about Amosun during the electioneering. The governor-elect also played down question raised on whether he intends to probe Amosun’s government or not, upon assuming office. Abiodun said “I don’t think anyone would have observed that we started our campaign or during our campaign that I exhibited any form of anger against Governor Ibikunle Amosun, neither have I, at any point in time, say anything negative about him during our campaign. “So, it is important to note that this is not a personal thing. It is about believing that one has something to give in terms of service to Ogun State.